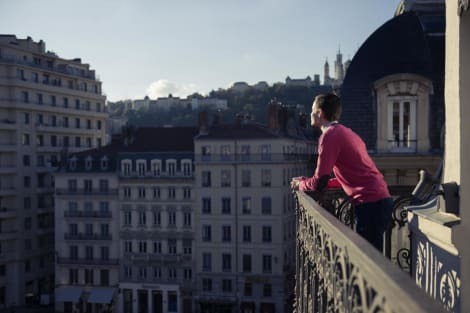 A stay at OKKO Hotels Lyon Pont Lafayette places you in the heart of Lyon, within a 15-minute walk of Lyon Opera and Lyon City Hall (Hotel De Ville). 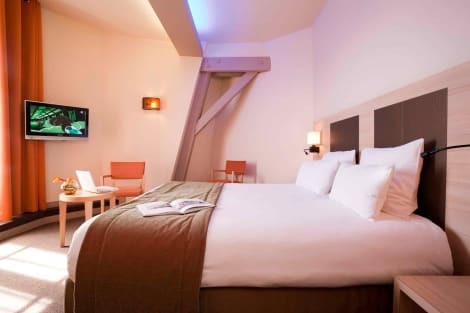 This 4-star hotel is 0.6 mi (1 km) from Terreaux Square (Place des Terreaux) and 0.9 mi (1.5 km) from Bellecour Square. Found in the heart of Lyon, just a short walk from Place des Jacobins and some of the city’s finest shops, the 4-star Globe and Cecil Hotel has been welcoming guests since 1850. The Chez Mouna breakfast room serves a generous buffet each morning, created with fine, locally-sourced ingredients, and you can relax in the bar at any time of day. The Globe and Cecil’s rooms all have their own unique style, but all are air-conditioned and have a flat-screen cable TV, wi-fi access and private bathroom.